bbh – How to Shape Human Behavior. 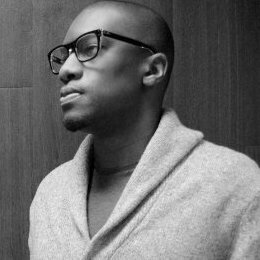 Designer, founder and journalist, William Channer has +10 years experience enabling and inspiring startups through apps, books and podcasts on advertising, business, design and technology. But rather than asking your typical ‘generalist-generalist’ questions you see quite often, I asked questions that myself and, I assume, a lot of people specifically wanted to know more about. This is how I discovered advertising and was really inspired during my interview with John Hegarty, and decided that I wanted to work for somebody like him. So I used DRT to get my foot in the door and interview the top ad guys (Rory Sutherland, Dave Trott…) at the advertising agencies in London. I leveraged my interviews and was smart about it, and as a result of my interviews I did get a job as a copywriter for BBH London and creative for AKQA. I’ve also written on technology for sites like The Guardian and Designmodo. My publications as a journalist established my credentials in the technology sector, which then gave me access to these thought leaders and innovators, and experience taught me ways of approaching them and getting them to sit down with me, answer my questions and honestly opening up to me. Once you’ve an interview with one big name, that further establishes your credibility and others are then more willing to make time for you. It also comes down to the quality of the copy in your emails. Everybody wants something. I can invest hours researching and finding out exactly what the person I want to do an interview with wants, and then crafting the email the right way to cut through the thousands of interview requests they likely receive and get them to respond to mine. This all comes down to the quality of your copywriting. Tell me more about how you designed the copy for your emails. It is really all about your approach and positioning. If you approach them as a fan, I think that generally turns them off. They may respond to you and thank you for following their work and emailing them, but they probably won’t take your request too seriously. On some of my interviews on skype I’ve even had to reschedule interviews so I could mail them one of my own personal mics so that the best quality recording possible. The content you’re putting out there is going to be there forever – as a signature of your credibility and competence, and also for the person you’re interviewing; and you want to get it right the first time. Personally, I use Logic Pro – a software specifically designed for music. I’m more into seamless sound and fluidity that lets you cut out the ‘ums’ and ‘uhhs…’ and blanks in our conversation. Also, some interviewees record their answers on their iPhone headphones, where the sound quality isn’t that great and so I must boost certain sounds while suppressing other sounds. I’ve found that Logic Pro lets me add a little extra finish that listeners don’t realize while their listening and in the end creates a more well-rounded interview. Why doesn’t DRT have a comments section? Most comments tend to be noise – they don’t really add anything to the quality of the initial content. When you’re sitting in front of someone really wise, you tend to prefer to shut up and listen to what they have to say. Therefore DRT is designed to have the attention fully focused on the person I’m interviewing. How do you monetize DRT? When I started DRT, it wasn’t monetized. Today I do earn a little income though advertising while my podcasts continue to be free to listen to and download. I do this because I think this sort of information that is already readily available in some form or another and should be free. Charging for that information isn’t something I want to be known for. Even today, DRT has limited advertising on its site, and each podcast is sponsored by a company, but again the focus is on the person I’m interviewing. Even today, DRT itself isn’t a significant source of income, nor is it meant to be. It is instead a way for me to find paying jobs and entrepreneurial projects with people. I am sometimes approached by brands and companies to do consulting work for them, but that isn’t my main focus right now. That being said, if you’re providing specialized knowledge and solutions that is not easily found and readily available, and requires extensive research and a unique solution to each individual problem, then it’s understandable that you charge for it, and consumers would understand this and be willing to pay for it. Have you found Ad Blocking software cuts into your revenue to the point where you’re working for free? Not yet. After +108 interviews, what’s the most important thing you’ve learned? You have to have a name. People put a lot of emphasis on the product. Your product is important, but it is absolutely insane the amount of products that are created every day! Therefore what’s more important than the quality of your product is the reputation and credentials of the person behind the product. Consumers will buy a product if they are convinced it will help them or make their lives easier, but consumers will also readily buy or invest in a product – sight unseen – simply because a person they know, trust and respect created it or is publically investing in it. 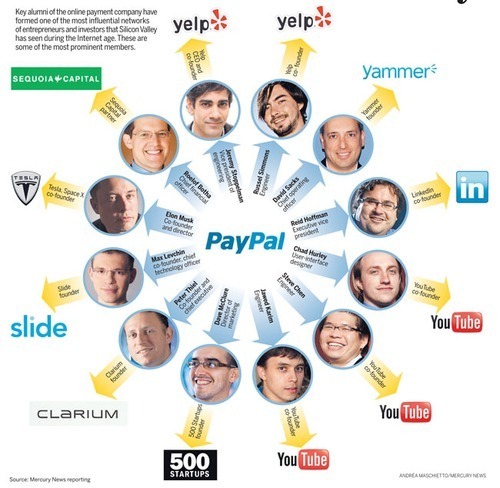 Consider for example the Paypal mafia – The group of guys who co-founded Paypal and then went on to use their name and reputation to start and utterly dominate many other industries. They created a network exosystem for themselves. Now when these guys speak, people listen. 1. How does your target demographic want content to be available to them? In a printable pdf document? A blog post? A podcast? Or do they want the option of all three? Create your content and then transfer it into the format that your target audience wants. 2. Self-publishing on Amazon is almost as easy as launching a blog, plus you have Amazon’s algorithm and sheer visitor volume working for you. You might not get rich on it, but it’s one way of earning money and a great way of gaining exposure and building credibility for future projects. 3. Invest in networking and creating a high-quality social ecosystem. Get on a plane and go to San Francisco – or wherever the financially backed and well-connected industry leaders and innovators are. But don’t just go, organize your trip dates, then spend the next few months emailing and packing your schedule so full of meetings that by the time your plane lands at the airport you’re already 15 minutes late to your first meeting, and then EVERY meeting after that! Apply to Y combinator, a site that provides seed funding for promising startups. If you can become y-combinator alumni, you’re well on your way to building your reputation and network. I’m a startup, what are your top 4 DRT interviews I must listen to? Persuasion has a bad reputation because it’s associated with selling things to people, sometimes selling them things they don’t even want. Posted on July 30, 2014 September 9, 2014 by Joshua SMITHPosted in QuotesTagged advertising, bbh, branding, communication, consumers, influence, manipulation, marketing, persuasion, sales ambassador, sir john hegarty. It can be easy to settle on something that feels right. Something that seems to make sense of all the confusion. You’ll feel relief when you get to this point. You’ll think you’ve cracked it. You’ll feel good. Posted on July 29, 2014 September 9, 2014 by Joshua SMITHPosted in QuotesTagged bbh, competitive advantage, creative brief, creativity, fashion, graphic design, illustration, industry analysis, innovation, inspiration, music, packaging design, photoshop, product design, sir john hegarty, video.